Find tickets to all your favorite concerts at SeatGeek. 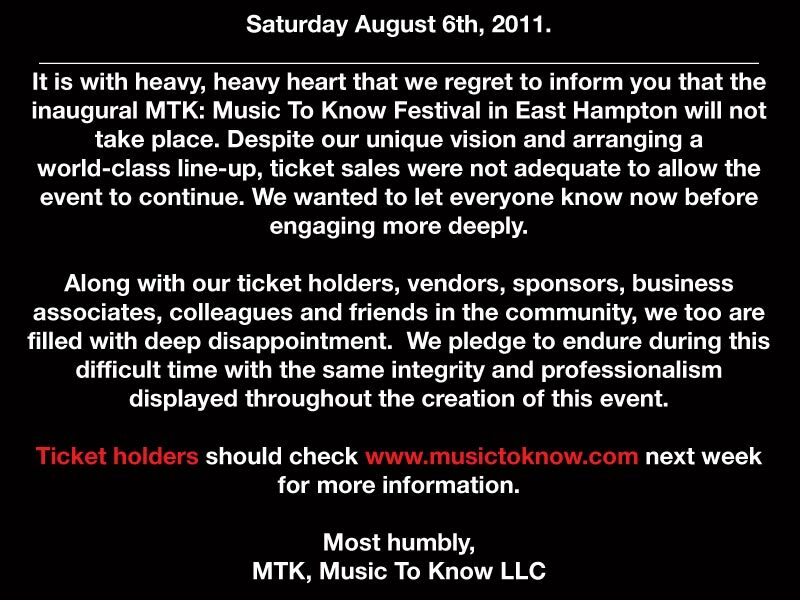 Music To Know Festival has just released the statement below regarding refunds to the canceled festival. 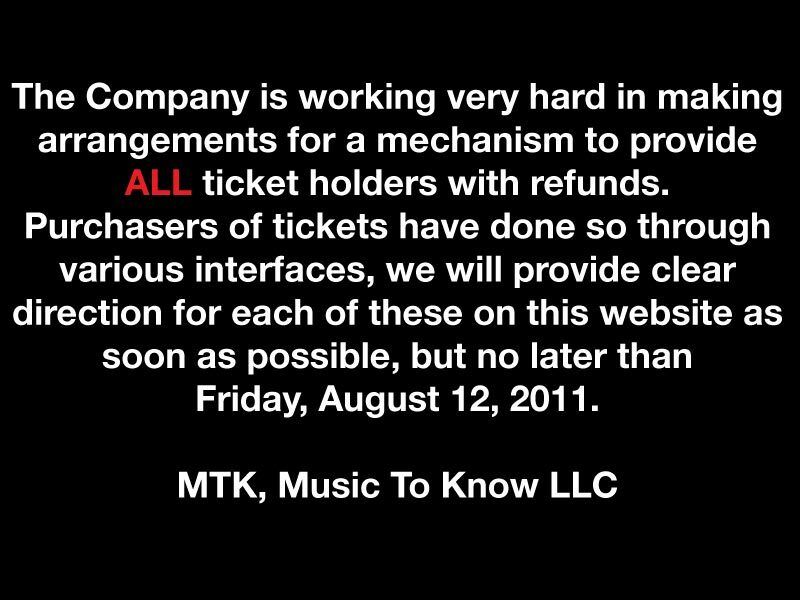 They state that ticket purchasers will have detailed instructions on how to receive a refund no later than Friday, August 12, 2011. Stay tuned for updates on how to receive a refund, which should be available within the next few days.